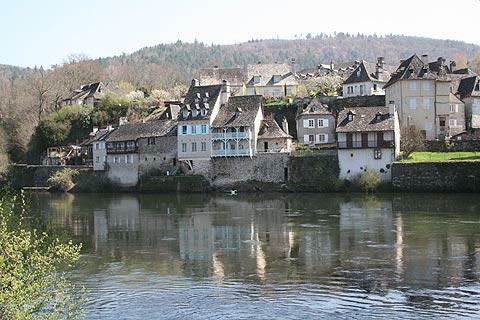 Argentat is a historic riverside town in the Correze department of the Limousin region, on the upper reaches of the Dordogne River of south-west France. It is without doubt the section of the town along the riverfront that is the highlight of a visit, but there are also interesting historic buildings to discover elsewhere in the town. Your best starting point for a visit is at the Argentat tourist office, to get a copy of the map of the town showing a recommended route for walking and highlighting the main places to visit. 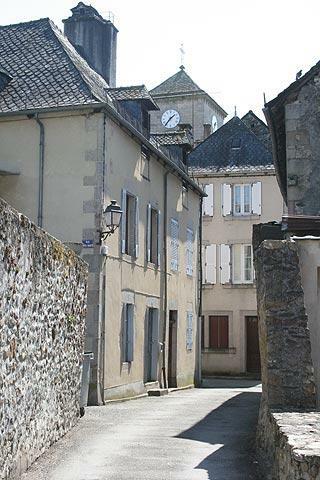 Medieval houses line the streets that run down to the river in Argentat and are pleasant to explore on foot. Several small chapels and convents are also located in the streets of the town. As you explore you will also come across some grander medieval houses of note such as the 15th century Manoir de l'Eyrial and the Chateau Neuville. France This Way comment: the pleasure of exploring Argentat comes as much from the small details that you pass such as the ancient stone rooves and the stone cross in the wall on the quais as the major monuments. Continue your walk along the river front, past the old houses and quais, which is very attractive - indeed this is the highlight of the town, and there are cafes where you can sit gazing across the river at the pretty houses opposite, enjoying a cool drink and watching the ducks. This quai area was constructed in the 19th century. From here you should cross the bridge for a nice view back across the river to Argentat. 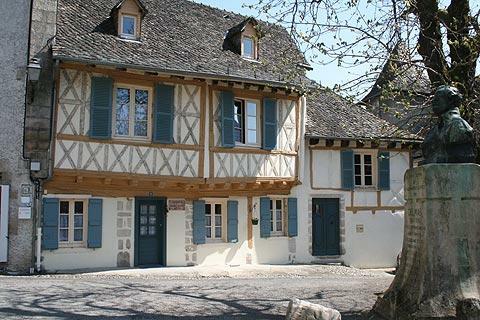 The town also has a small museum (summer only) that explains the history of Argentat. There are a handful of restaurants along the river if you wish to extend your stay a little to enjoy the peaceful surroundings. The countryside of the region is characterised by wooded valleys and small unspoiled villages, and of course the scenery river itself which is very attractive. 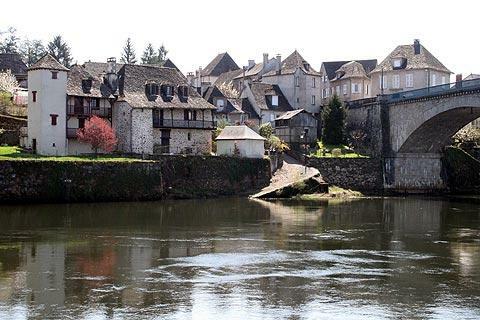 It is downstream from Argentat that the Dordogne Valley that is most visited by tourists really starts - above the village there are various dams and barrages (the first being the barrage of Argentat, close to the village) that make water navigation impossible. One trip from Argentat that we particularly enjoyed was to see the Merle Towers, a series of ancient towers and fortifications in an attractive, and naturally defensive, valley near the town in a bend of the river. 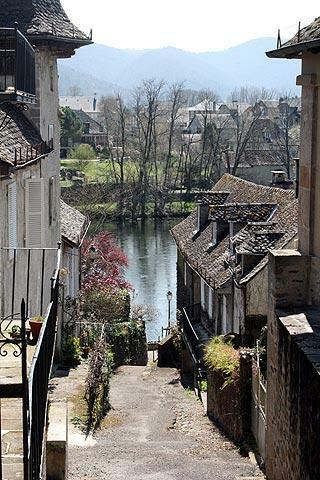 The river above the town, along the series of barrages and the Gorges de la Dordogne, also has many scenic highlights - viewpoints, chateau remains, watersports on the lakes etc and small villages to explore tucked into the valleys. 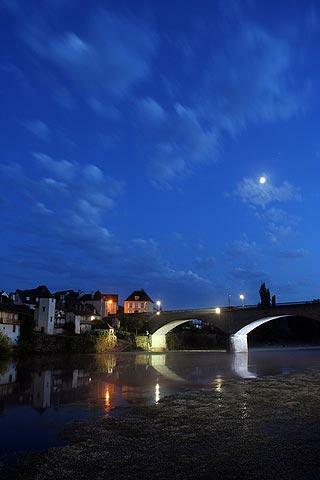 You can take a trip along the Dordogne from Argentat in a traditional boat called a gabare. 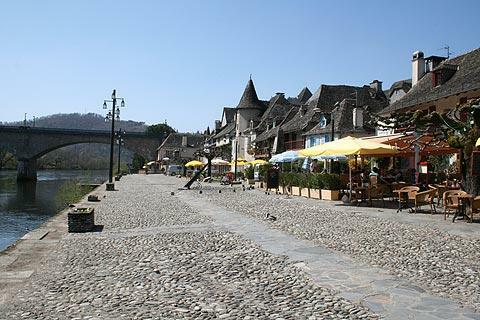 There are numerous small towns and villages to explore, especially to the south of Argentat, including the lovely town of Beaulieu-sur-Dordogne just a few kilometres downstream along the river.